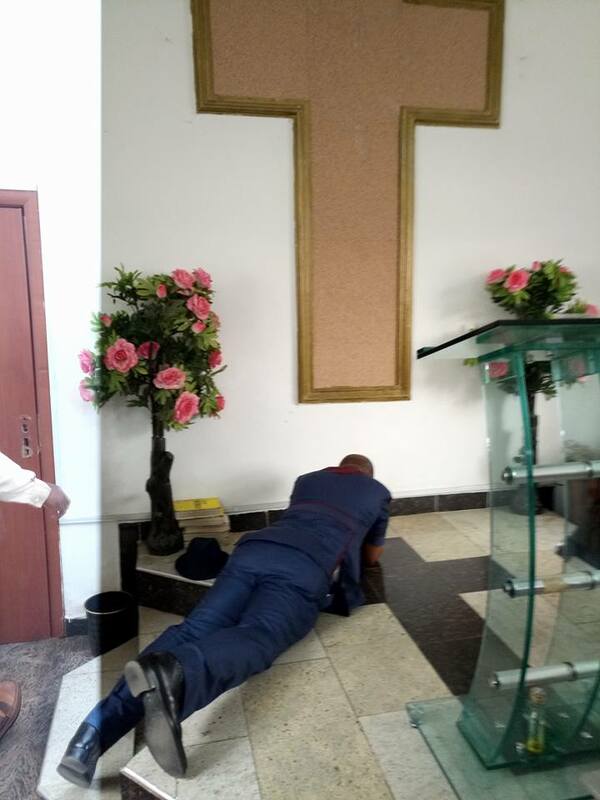 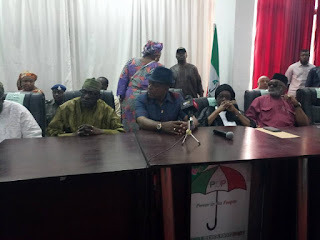 Uche Secondus, newly elected National Chairman of the Peoples Democratic Party, PDP, had to prostrate in a church as he thanked God for his victory at the national convention which took place over the weekend in Abuja. 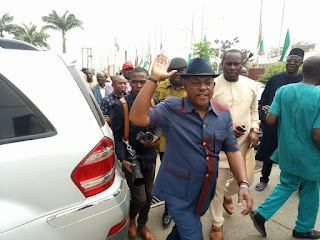 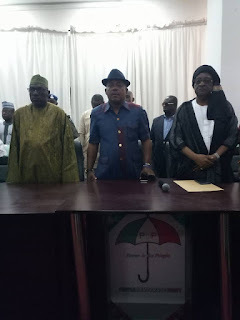 'I return all Glory, Honour and Adoration to God Almighty who has perfected me, he has never neglected me neither has he put me to shame', the new PDP chairman was quoted as saying at the church after his handover at the PDP secretariat. Former Chairman of the party’s ex-National Caretaker Committee under the leadership of Ahmed Makarfi handed over to Secondus and his newly-elected members of the National Working Committee, NEC. Secondus was declared National Chairman of the former ruling party after polling over 2000 votes at the Saturday’s convention in Abuja.